Leadership is fortunate to have a committee of community leaders who volunteer their time to plan and host each of our program days. The Curriculum Committee meets monthly to plan each program day and analyze class evaluations. The program is continuously improving based on class feedback each month. Cheryl joined the San Mateo Area Chamber of Commerce on January 1, 2013 as the President & CEO. Cheryl is a native Californian and has lived in the Bay Area her entire professional life. Ms. Angeles started her career in property/project management in 1986 and has worked for various companies such as Blickman-Turkus Commercial Real Estate, Capital Builders, Public Storage Commercial Property Group and SKS Management where she was a Regional Manager. While working, Ms. Angeles served on a number of boards and committees such as Center for Employment Training, Redwood City Library Foundation, Soroptimist International, San Mateo Rotary, and was a board member with the Redwood City-San Mateo County Chamber of Commerce for 20 years. While a board member at the Redwood City Chamber she served as an Ambassador, Education Committee, Housing & Transportation, Development, and golf committees. Ms. Angeles served as Chairman of the Board for the chamber in 2007. Cheryl has won many awards which include Ambassador of the Year, Athena Business Woman of the Year Award, and was chosen as Person of the Year in 2003 by the Redwood City-San Mateo Area Chamber of Commerce. Molly is a lifelong San Mateo County resident and educator. She worked in the public school system as a preschool, elementary and high school teacher for 18 years before moving into school administration. For the last 8 years she has served as the Assistant Superintendent of Student Services in the San Mateo-Foster City School District. The San Mateo-Foster City School District is the largest school district in San Mateo County with 12.500 students and 21 schools. In her role as Assistant Superintendent of Student Services she oversees Enrollment & Registration, Attendance & Welfare, Discipline, Expulsions and Alternative Education Programs, Wellness, Before and After School Care, Preschool Programs, Special Education, Homeless & Foster Care Youth, and Student Records. She is also a 2015 Leadership grad. Tish started her professional career in the area of education policy and legislation at the State level in Texas and the Federal level in Washington DC before returning to California where she was the Chief of Governmental and Legislative Affairs for the California Department of Education. After serving as Assistant Superintendent of Support Services for San Mateo-Foster City School District for many years, Tish worked for 10 years as Special Assistant to the State Administrator for the Vallejo City Unified School District after the State took over the financially bankrupt school district in 2004, Interim Executive Director for the San Mateo Public Library Foundation in 2016, and currently as Special Advisor to the Superintendent of the San Mateo-Foster City School District for Measure X facilities projects and community engagement. Tish has been recognized for her commitment to the community by Senator Jerry Hill who named her Woman of the Year in 2016 and by other organizations including the National and California PTAs. Sandy Council has over 30 years of experience in program design, implementation and administration of a wide range of housing and community development programs in San Mateo. These include housing rehabilitation, new construction of affordable units, land acquisition, rent assistance, first time homebuyer assistance and working with non-profit housing service providers. She also has worked extensively on housing policy development and financial analysis, including the negotiation of developer agreements and implementation of City programs to promote affordable housing with private developers in market rate housing and commercial projects. Sales Director, Mary Kay Inc.
Gayl is a 1999 Leadership graduate. She has served on the Leadership Advisory board for several years, most recently chairing the Selection Committee. She has also served on the curriculum committee co-chairing the Business & Economic day for several years. Gayl has been the head of the Ambassador group for both the Foster City and San Mateo Chambers. She has served on the Foster City Board of Directors for several years including as Board Chair. She is a member of a chamber sponsored networking group and has served as co-chair. Gayl has been an Independent contractor with Mary Kay for the past 30 years, building a broad client base, as well as mentoring other consultants nationwide in building their business. 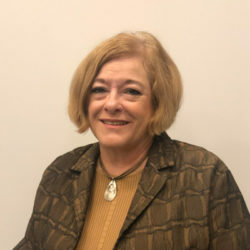 Although Gayl grew up in Oregon, her goal was always to live in the Bay Area, which she has since graduating in 1968 from Oregon State University with a BS in Home Economics. She also has a BA in Anthropology from San Jose State where she computerized archeological data of the Anazi Indians from the four corners area. 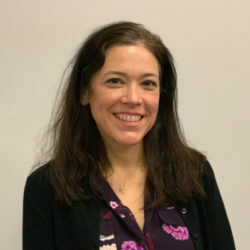 Michelle Durand is the Chief Communications Officer for the County of San Mateo, leading its public affairs, media relations and social media strategy. Prior to joining the County in 2015, Michelle worked in the news industry for nearly two decades. Most recently, she was an award-winning journalist and columnist for more than 13 years with the San Mateo Daily Journal. She holds a bachelor’s degree in politics from the University of California at Santa Cruz. Cheryl joined the Peninsula Healthcare District as its chief executive May 1, 2007. A lifetime resident of the Peninsula Health Care District, Ms. Fama spent her entire professional life in healthcare, starting as a critical care nurse, retiring from hospitals as the President/CEO of Saint Francis Memorial Hospital in San Francisco, and now focusing on community-based health and wellness for Peninsula Health Care District. Ms. Fama has served on a broad range of community and service organization boards and committees such as the Hospital Council of Northern and Central California, Association of California Healthcare Districts, Donor Network West (Transplant organ procurement), Saint Francis Hospital Foundation, Bay Area Sports Hall of Fame, San Mateo Co. Big Lift Finance Committee, San Mateo Leadership Program, San Mateo Oral Health Coalition, San Mateo Healthy Community Collaborative, and Burlingame Rotary Board and Program Committee. 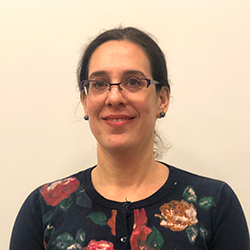 Ms. Fama holds a Master’s Degree in Public Administration and a Bachelor’s of Science Degree in Nursing, both from the University of San Francisco, and still maintains an active RN license. Lisa K. Goldman is the City Manager for the City of Burlingame, a position she’s held since December 2012. Lisa is the fourth City Manager in Burlingame’s history and the first woman to hold the position. 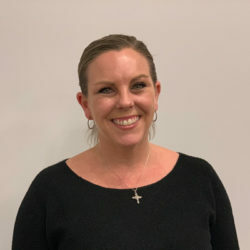 Prior to joining the City of Burlingame, Lisa worked for the City of Alameda for just under six years, serving as the Deputy City Manager, the Acting City Manager, and the Assistant City Manager. Lisa is the former Intergovernmental Relations Manager for the City of Fremont and began her career in local government as an Administrative Intern for her hometown, the City of Palos Verdes Estates. Lisa also spent time on Capitol Hill in Washington, D.C., as a Legislative Assistant for Representative Henry A. Waxman. Lisa is a member of the International City/County Management Association, the California City Management Foundation, the League of Women in Government, and Women Leading Government. She earned her Bachelor’s degree from Harvard College and her Master of Public Policy from U.C. Berkeley’s Graduate School of Public Policy. In her spare time, she is a Masters swimmer who competes in open water races. Carole Groom has served on the Board of Supervisors since 2009. She served nine years on the San Mateo City Council, including two terms as Mayor, and on the San Mateo Planning and Public Works Commissions. Supervisor Groom’s legislative priorities include expanded access to quality preschool and literacy, improved access to healthcare for all, environmental protection, preservation of County’s parks, and growing the local economy. She currently serves on the Bay Area Air Quality Management District Board of Directors. She also serves on the Board of Directors of the San Mateo County Medical Center, the San Mateo County Transit District (SamTrans), as board liaison to the San Mateo County Event Center, and as Chair of the Transportation Authority. Supervisor Groom also serves on the California Coastal Commission. Her professional experience includes 18 years as a Vice President of Mills-Peninsula Health Services. She also serves on the Boards of Directors of the San Mateo Police Activities League and Leadership San Mateo. She is an Advisory Board Member of Palcare, a non-profit school and childcare center. Supervisor Groom resides in the city of San Mateo. John Healy began his career in 1983 as a volunteer firefighter with the Foster City Fire Department. John was hired as a full time firefighter in September of 1984 with the Town of Hillsborough and promoted to Captain in 1995. He joined the Union City Fire Department in May of 2000 where he served as Fire Captain. 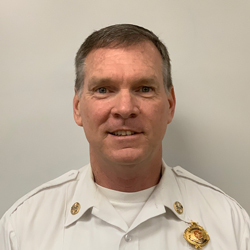 The San Mateo Fire Department hired John as Battalion Chief on May 23, 2003 and was appointed the position of Deputy Fire Chief on June 1, 2008. On June 8, 2015, Chief Healy was offered and accepted the position of Fire Chief for Belmont, Foster City and San Mateo. John received his Bachelor of Science Degrees in Fire Administration and Fire Prevention Technology from Cogswell Polytechnical College. John is a certified Chief Officer, CICCS Strike Team Leader, Fire Investigator I, Safety Officer and Division Group Supervisor. 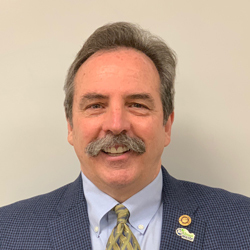 Among various committees and projects, he’s been instrumental in serving with the San Mateo County Operations Group and Communications Committee. His relationship with partners such as San Mateo County’s Public Safety Dispatch has been invaluable to the Department. John grew up in San Mateo with his seven siblings and is committed to serving the community as our next Fire Chief. His historical knowledge of the city and its residents is remarkable. Residing locally in San Carlos with his wife and 3 sons, being involved in fund raisers and public events is an added bonus to the members of Belmont, Foster City & San Mateo Fire Department. 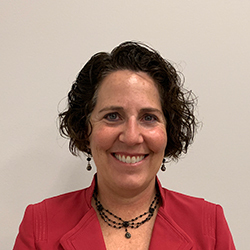 Kathy Kleinbaum is the Deputy City Manager for the City of San Mateo and oversees the programs in the City Manager’s Office including Sustainability, Economic Development, Communications, and Volunteering. 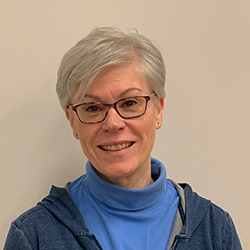 In addition, she manages various public policy forays for the City including the redevelopment of City-owned properties, Minimum Wage implementation, and the City’s bike share program. Kathy has been with the City of San Mateo since 2013 and has worked in local government for over 17 years. Previously, she served as the as the Economic Development Manager for the City of Los Altos and a Redevelopment Project Manager for the City of Oakland. Kathy is a New York City native but has been a Bay Area convert ever since coming out to the areas as an undergraduate. She holds a Bachelor’s degree from Stanford University in Earth Systems and a Master’s degree in City and Regional Planning from the University of California, Berkeley. She is a 2017 Leadership graduate. Joe La Mariana joined the Rethink Waste staff in August 2016 after serving in local government for ten years as San Mateo County’s Solid Waste and Environmental Services Manager. During this time, Joe was a section manager in the County Manager’s Office of Sustainability and the Department of Public Works. Prior to the solid waste industry, Joe worked for 13 years in corporate communications and marketing. Joe serves on SWANA’s California Legislative Task Force and is a passionate advocate for strong environmental legislation in our state. With a robust commitment to community, Joe has extensively volunteered with the Rotary Club of Burlingame, the Burlingame and Brisbane Chambers of Commerce, the City of Burlingame’s Park and Rec Commission, several mid-peninsula youth sports leagues and Our Lady of Angels parish. Joe earned a technical certificate in Solid Waste Management from UC Berkeley; an MBA from Notre Dame de Namur in Belmont; and a BA in Public Relations from California State University, Chico. Joe completed the San Mateo/Burlingame/Foster City/Hillsborough Leadership program in 2004. Anne joined the San Mateo County/Silicon Valley Convention and Visitors Bureau as President and CEO in 2000. Prior to that, she served as a vice president of the California Chamber, serving as liaison to major corporations in the state. Before joining the California Chamber, she served as President and CEO of the San Mateo Area Chamber of Commerce. Prior to moving to California, she worked in Washington, DC as a lobbyist for the U.S. Chamber of Commerce and, earlier, as a political analyst and editor for General Motors there. 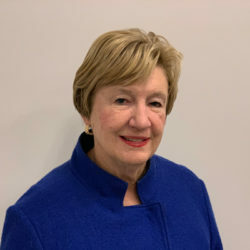 She has served as a Board Member of the California Travel Industry Association and an Executive Committee Member of the National Board of Trustees, U.S. Chamber Institute for Organization Management. She is Past Chair of the Western Institute for Organization Management and Past Chair of the Western Association of Chamber of Commerce Executives. 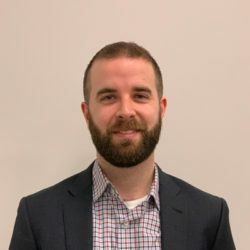 LeClair is a graduate of Georgetown University’s School of Foreign Service and is a Certified Association Executive, Certified Destination Management Executive and an Accredited Chamber Executive. She is a graduate of the U.S. Chamber Western Institute for Organization Management and a former instructor for that program. She is married to Jim LeClair and has two grown children, Kerin and James. She has an evil sense of humor. Before being named the “Top Cop” in San Mateo, Chief Manheimer served almost 17 years with the San Francisco Police Department. Chief Manheimer was recruited by the City of San Mateo and appointed as their Chief of Police in May of 2000, where she continues her commitment to highly effective Crime Control through Community Policing Partnerships and engagement with public and private partnerships. Now one of the senior tenured chiefs in the state, and a leader and past president of the California Police Chiefs Association and the San Mateo County Police Chiefs and Sheriff’s Association, Manheimer is focused on building a leading-edge policing agency of excellence that strikes at the root of neighborhood safety and quality of life through engagement between the police and the communities they serve. 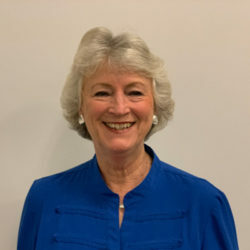 Manheimer received her BA in Business Management from Saint Mary’s College in Moraga, and a Master’s in Educational Leadership from San Diego State University. Chief Manheimer resides in San Mateo County and has two adult children, Sarah, an attorney, and Jesse, a Captain in the US Marine Corps. Together with her grandchildren they enjoy skiing, hiking, rowing, and service to their community through Rotary and other service groups. Sara Larios Mitchell was appointed CEO of StarVista in October 2012, on the retirement of Michael Garb. She has a Master’s in Counseling Psychology from Golden Gate University, and a Doctorate in Transpersonal Psychology from the Institute of Transpersonal Psychology. 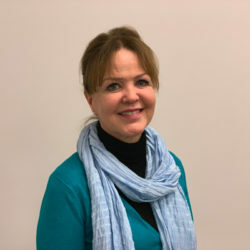 With over 15 years of experience in clinical services, including early childhood, domestic violence, trauma, youth development, family support and counseling, Sara is strongly committed to the children, families and individuals of our diverse community, and to strengthening opportunities for everyone to transform their lives. Kimi is a 2018 Leadership graduate and resident of the City of San Mateo. For the last six years Kimi has been an advocate at the Natural Resources Defense Council (NRDC), a leading international environmental organization. She is currently the Deputy Director of the City Energy Project, a collaboration between NRDC and the Institute for Market Transformation that advances policies and programs that cut energy waste in large buildings. Additionally, Kimi is a leader of the new American Cities Climate Challenge a major new Bloomberg Philanthropies effort to expedite progress in reducing greenhouse gas emissions in cities while growing local economies. She is also an adjunct lecturer at Stanford Law School teaching students about local law and sustainability. Prior to joining NRDC, Kimi clerked for Justice Craig Stowers of the Alaska Supreme Court. She also worked at Stanford University’s Center for Ocean Solutions, crafting offshore oil drilling policy and regulatory recommendations for the National Commission on the BP Deepwater Horizon Oil Spill and Offshore Oil Drilling. Kimi started her professional career at Google in Mountain View where she helped found GoogleServe, an initiative to empower Google employees to volunteer in their communities. She holds a bachelor’s degree in anthropological sciences and a master’s degree in environment and resources from Stanford University. She earned her J.D. from Stanford Law School. Dave was hired as a Police Officer with the City of San Mateo in January 1997. He was born and raised in San Mateo, attended Serra High School and received his Bachelor of Science Degree in Marketing Management from California Polytechnic State University in San Luis Obispo before earning a Master’s in Public Administration from Notre Dame de Namur University in Belmont. During the course of his career Dave has worked as a Police Officer, Detective in the Special Investigations Bureau, Special Agent with the San Mateo County Narcotics Task Force, Detective in the Criminal Investigations Bureau, Field Operations Sergeant, Neighborhood Response Team Sergeant, Criminal Investigations Bureau Sergeant, Field Operations Lieutenant, Dispatch Services Lieutenant, Support Services Captain and is currently the Captain of Field Operations. Dave is the past president of the San Mateo County Commander’s Group and is the Team Commander for the North Central Regional S.W.A.T. Team. He is a 2016 Leadership graduate, a 2010 Supervisory Leadership Institute (SLI) graduate, and a 2014 graduate of the Senior Management Institute for Police (SMIP). Dave is a recipient of the 2008 Governor’s Public Safety Medal of Valor and the proud father of two teenage children, Kaitlyn and Tyler. Joe was appointed to Chief of Police in 2016. Joe Pierucci has 29 years of law enforcement experience, serving the last seven years of that with the Foster City Police Department. After growing up in Foster City, Joe began his career with the San Mateo Police Department in 1986 when he was hired as a Police Officer. 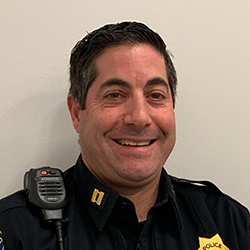 During his time with San Mateo PD, Pierucci worked as a detective, field training officer, and school resource officer before being promoted to Patrol Sergeant. He went on to serve as a Community Services Sergeant overseeing the San Mateo PD Police Athletic League program, Neighborhood Watch, crime prevention and community policing programs. In 2009, Pierucci returned to his hometown of Foster City, being appointed to the rank of Police Lieutenant, tasked with direct supervision of patrol teams. In 2012, Pierucci was promoted to the rank of Police Captain and spent tours managing both the Field Operations and Administrative functions of the department. He recently completed a term as President of the San Mateo County Law Enforcement Commanders Association. Pierucci has a Bachelor’s Degree in Organizational Management. Pierucci is a member of the Foster City Lions Club. Over the years he has volunteered his time with both the Foster City Little League and Foster City Youth Softball associations. He is the proud father of a 21 year old son (Mike) and an 18 year old daughter (Tori), who also grew up in Foster City. Sarah Prescott was born and raised on the Peninsula and has volunteered for numerous local non- profit organizations throughout the County. In 2006, she joined the Recology team. She began with Recology San Bruno and came on board with Recology San Mateo County in 2010. Upon joining the Recology San Mateo County team, she began co-chairing their Coats for Kids program which collects coats from the 12 local jurisdictions in which the company serves and are donated to local non-profit organizations. She currently represents Recology San Mateo County on the company wide Ownership Culture Committee promoting employee ownership education. She previously served as Vice Chair on the Burlingame Chamber of Commerce Board of Directors and worked closely with Membership Development. As a graduate of the Leadership Program in 2012, she has continued to stay involved in the program as Co-chair of Environmental Day. 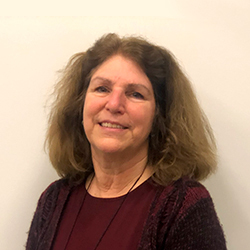 Connie Sevier has been an active community volunteer, serving in various school parent group positions and the San Mateo County Civil Grand Jury. 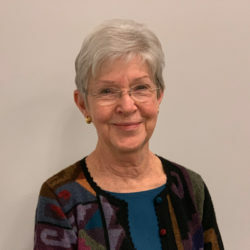 She is past president of the San Mateo County Parks Foundation and the current chair of the CuriOdyssey Board of Directors, having volunteered in various positions there over 46 years. A Leadership graduate, she has served on the Leadership Board of Directors and Curriculum Committee, chairing Environment Day since 1999. A native of Colorado, she graduated from Goucher College in Baltimore, Maryland and is a resident of San Mateo. Yvonne Shiu has served as Principal of San Mateo High School since 2007. She came to the San Mateo Union High School District in 1996 as an ELD and Spanish teacher at San Mateo High School. Ms. Shiu began her career as an ESL teacher at Fairfax High School in Los Angeles. When she first arrived in the Bay Area, she started as a long-term substitute, teaching bilingual Social Studies and math at Everett Middle School in San Francisco. She then taught for two years at Mission High School in San Francisco before joining the Bearcat Family. Ms. Shiu earned her BA, Spanish from The Pennsylvania State University and later earned her MA, Teacher Education and her Single Subject Teaching Credential from the University of Los Angeles, and finally her MEd, Education Administration from the San Francisco State University. Srija Srinivasan serves as the Interim Deputy Chief of the San Mateo County Health System, with oversight of several operating divisions aimed at creating longer and better lives for San Mateo County residents by protecting the public’s health and promoting the healthiest start and best trajectory possible. These include policy and primary prevention efforts, early intervention efforts targeting pregnant women and young children, and leadership of the County’s local coverage programs for those ineligible for health insurance through the Affordable Care Act. Srija oversees a 300-person team and a $75 million budget. Under Srija’s leadership, San Mateo County has accomplished significant successes in reducing the number of uninsured residents, piloting innovative approaches to providing the right service at the right time and place, reducing the burden of persistent health disparities and partnering with a broad range of stakeholders to create healthier, more equitable communities. Srija joined the County Health System executive team eleven years ago to direct a newly forming Policy and Planning unit which was launched to address strategic health issues in partnership with the community. Srija has more than twenty years of experience in health policy and community health issues, including several senior roles in the public, nonprofit, and philanthropic sectors. She received both her Bachelor’s (Human Biology) and MBA degrees from Stanford University. Brent Tietjen is the Government and Community Relations Officer for the San Mateo County Transit District which is the administrative body for the public transit and transportation programs in San Mateo County: SamTrans bus service, Caltrain commuter rail and the San Mateo County Transportation Authority. 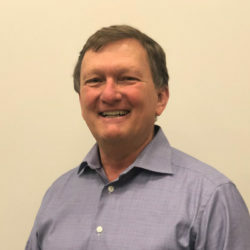 In this role, Brent leads the public outreach efforts for various transportation capital projects and planning efforts including the Caltrain Electrification Project. Prior to joining the District, Brent worked with various nonprofit organizations, including United Way of the Bay Area. Brent holds a Masters of Business Administration from Old Dominion University in Virginia.